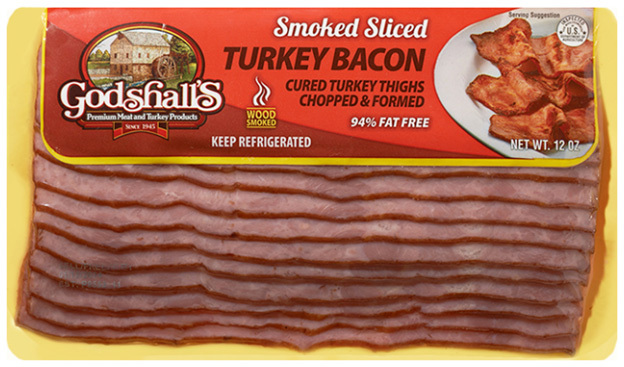 This week’s pick, Godshall’s Turkey Bacon, is a mouthwatering bacon option that I can feel good about eating! Godshall’s Turkey Bacon is made from cured turkey thighs that are 94% fat free. As a Registered Dietitian, it’s not every day that I’m telling people about my favorite bacon. My friends and family would vouch that I steer clear of almost everything that contains bacon … until now. This week’s pick, Godshall’s Turkey Bacon, is a mouthwatering bacon option that I can feel good about eating! Godshall’s Turkey Bacon is made from cured turkey thighs that are 94% fat free. I’m always interested in learning where my food comes from. Godshall’s Quality Meats was founded almost 60 years ago. 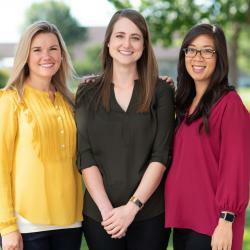 It has grown from a single butcher shop with two employees to a company with two locations in Pennsylvania employing more than 250 people. The Godshall family, now in their third generation of leadership, remains dedicated to supplying premium meat items to their loyal customers. This is definitely a dietitian approved bacon! On sale this week, try Godshall’s Turkey Bacon in Chef Julie’s Avocado BLT recipe. I promise … you won’t be disappointed! Nutritional Information for 1 slice: Calories 40 Total Fat 1.5g (Saturated Fat 0g, Trans Fat 0g) Cholesterol 20mg Sodium 200mg Total Carbohydrate 1g Protein 6g Iron 2% Disclaimer: We strongly encourage guests to review the ingredient lists of suggested products before purchasing to ensure they meet individual dietary needs. All products not available at all Festival Foods locations. 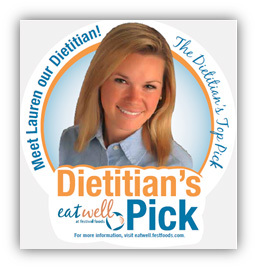 Lauren Lindsley is a Registered Dietitian Nutritionist (RDN) with Festival Foods and is certified by the state of WI.